Add space and organization to your bathroom with this simple, contemporary style glass shelf. Featuring tempered, beveled-edged glass and solid brass hardware this shelf is crafted for durability, strength and style. 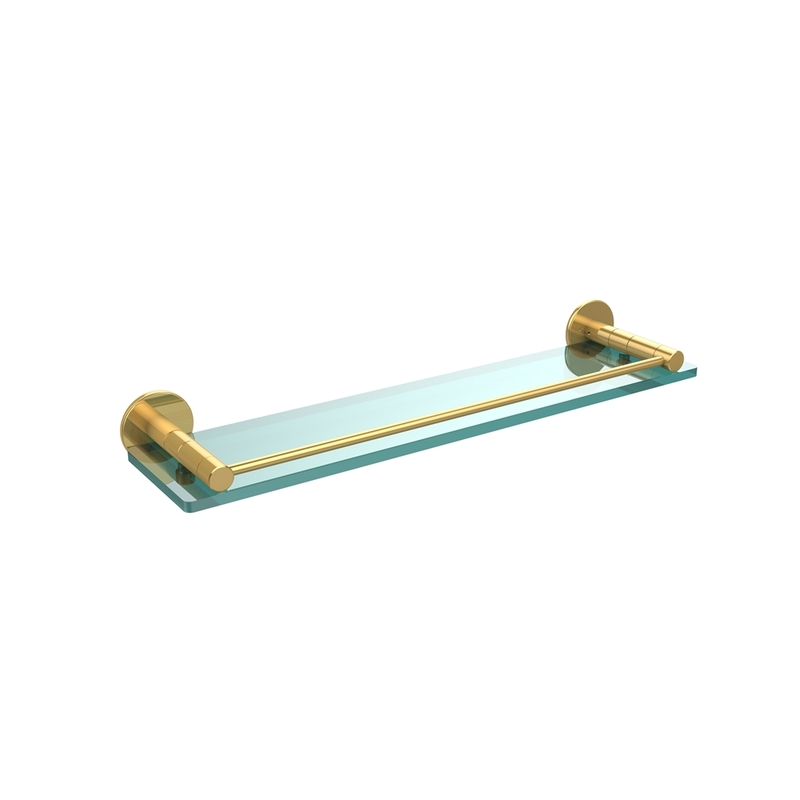 One of the many coordinating accessories in the Allied Brass Fresno Collection, this subtle glass shelf is the perfect complement to your bathroom decor.